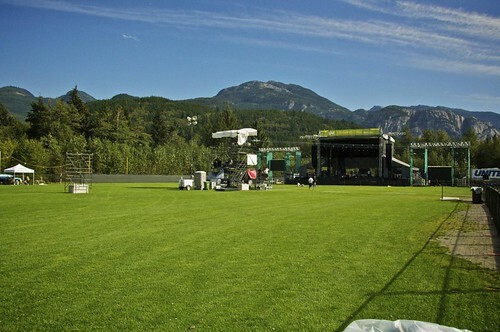 The line up is impressive, the beer garden is prepped, and the scenery could not be more beautiful. John and I will be posting photos and video interviews with some of the bands throughout the weekend. John’s photos will be available in his Flickr set and mine will be on Flickr as well. Stay tuned and follow the tag #LASFest on Twitter to see everyone’s updates and pics from the festival grounds. My updates will be live on Twitter as well. This 360 view is so cool! Thanks for sharing Michelle.